Slowly Rolling Camera formed in Cardiff in 2013 and brought together four wildly talented musicians from diverse backgrounds in vocalist & lyricist Dionne Bennett, composer / keyboardist Dave Stapleton, drummer Elliot Bennett and producer / sound design artist Deri Roberts. The result was a captivating hybrid of these influences: trip hop, jazz, soul, electronic music fused into a new and unique soundscape. The product was their eponymous album, released on Edition Records in February 2014, described by the Guardian as a ‘powerful newcomer with Rising Star written all over it. Superb!’. 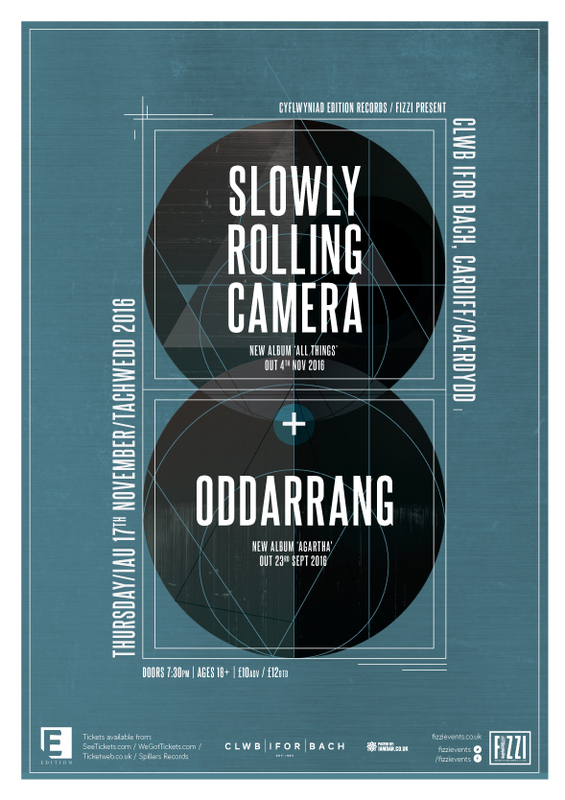 Experimental Finnish band Oddarrang make a genre-defying sound, influenced by jazz, classical, world music and postmodern rock. They have been compared to the cool but moving expression of Icelanders like Björk and Sigur Rós – a mesmerising and spiritual sonic soundscape. Oddarrang’s debut album won the Finnish equivalent of the Grammies for best Jazz Album of the Year 2007. Oddarrang’s fascinating mix of musical moods, traditions and their unusual instrumentation (trombone, cello, guitar, acoustic bass and drums) are gaining them more fans at every performance. In 2013, they released, In Cinema, their third album, a remarkable album that pushed the band into new worlds. In Sept 2016, they will release Agartha.